London’s biggest Chinese New Year celebration will see in the Year of the Pig with festivities that will cover most of the West End. Family activities, music, acrobatics and more will be available to enjoy all day, beginning with the lion and dragon parades which will snake their way down to Chinatown from Charing Cross from 10am. The party will also get the Trafalgar Square treatment; stages there will host Chinese performers in an array of shows and food trucks will satisfy any rumbling tummies. Duke of York Square will be hosting a special Chinese food market in honour of the New Year, with a delicious array of Chinese delicacies and traditional entertainment including the annual vibrant Lion Dance. The Duke of York Square Saturday Fine Food Market will be also open for business as usual with the usual weekly vendors alongside a selection of Chinese stalls. There are a couple of great celebrations going on suitable for all the family, in lieu of attempting to navigate central London with a buggy. 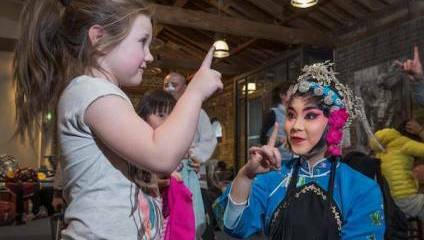 Over at Museum of London Docklands, kids and adults can enjoy live performances, martial arts workshops, and create beautiful artworks to take home, or at the Museum of Childhood, there will be dance and music, calligraphy workshops, craft stalls and a Chinese children’s art exhibition. If you fancy celebrating Chinese culture in a more relaxed environment, try heading down to the BFI, where a programme of special screenings has been programmed for your viewing pleasure. Ones to catch include Turtle Rock, a documentary about a tiny Chinese village made up of just seven families. There are also several Q&As with the creatives behind the films which promise insight and illumination. There’s no way you’ll go hungry around this time of year, with many restaurants offering new menus and special treats around the Chinese New Year. Luxe hangout Park Chinois in Mayfair will not only be serving special food and cocktails, but will also be bringing live performances (including Chinese drumming and yes, lion dances) right to your table between 2 – 10 February. XU Restaurant has created two brand new dishes, Seabass in Fermented Pineapple Sauce and Poached Goose with Chinese Olive Greens, to fete the New Year, and you can even bag special Year of the Pig-themed treats from Maitre Choux.